Bert's Book Review Blog – Just another book junkie giving his two cents on the written word. This eBook was provided to me by the author. While I received the book at no cost to myself, I am under no obligation to provide a positive review. 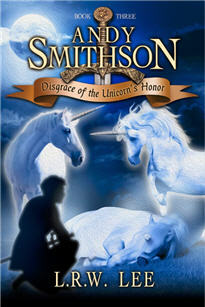 Here we have the third installment of Lee’s middle grade fiction series about Andy Smithson, a young man who is able to transport, although not at will, between his home in Texas and a magical land called Oomaldee. In this land, Andy has discovered his destiny, which is to break a curse over the land. He also has very strong ties to the King, which is explained more in this book. Along with Andy and the King are Mermin, a speech-impaired magician; Alden, Andy’s best friend in Oomaldee; Hannah, a beautiful young lady who has caught Andy’s eye and not just for her looks; and of course, a whole case of supporting characters. The primary protagonist is Abaddon, a bitter soul who prefers the form of a seven-headed dragon, although he is able to assume other forms. Abaddon has the ability to turn humanoid creatures into a cross between humans and vultures, and this merry band of fowl-brained henchmen do most of the evil lord’s dirty work. The story picks up with Andy back in his homeland with his mom and dad, where he learns more about Oomaldee and his mundane world ties to the magical world. While enjoying a family trip to Schlitterbahn Water Park, Andy’s dragon friend Daisy comes to retrieve him, from the middle of the crowded water park, causing quite a commotion. Once back in Oomaldee, Andy learns Abaddon, who is still injured from his battle with Andy in Book Two and unable to shapeshift, has been transforming a lot of Oomaldee citizens into the vulture creatures. Knowing he must eventually battle Abaddon again, Andy is preoccupied with another task: breaking the curse. Having read a potion recipe for curing wounds, Andy discovers unicorn horn is a powerful healing agent. Not coincidentally, there are three unicorns in the north part of the kingdom. So Andy, The King, Mermin, Alden, Hannah and a handful of The King’s men (but alas, no Humpty Dumpty, although there are a few runny / running egg gags in the series) set out to find the unicorns in the hopes the magical beasts will gift a horn to them for breaking the curse. Complicating manners is a mysterious orb appearing only to Andy, the orb in the guise of his mother. She encourages him to get a unicorn horn for her too, to save her life (explained earlier in the book, but it’s a spoiler, soooooo…). Now Andy must choose between saving the kingdom and saving his mother. A seven-headed monkey wrench in the works is Abaddon, who eventually captures the traveling party, but has allowed Andy, Alden and Hannah to travel and find the unicorns so that he might have a horn to heal himself. Throw in some helpful dwarves, pungent treasure-loving trolls, and other typical traps, both magical and non-magical, and there’s plenty to keep our heroes occupied. Will Andy get enough horns to free the hostages, break the curse and save his mother? If he has insufficient horns and has to choose, what will he choose? And is this a love triangle I see starting to form? I’m sure that will cause some drama as we move along too. Overall, I really enjoyed this book. Lee has really grown as a writer from her first book, and I’m pleased to see she has at least seven books planned for the series. The plot is developing at a reasonable pace, the characters are slowly fleshing out, and the book remains true to the middle grade age group it’s intended for, both in pacing, appropriate violence level, and vocabulary. I’m glad Lee allowed me to review this book, and I look forward to the future installments. I received a copy of this book via NetGalley, with thanks to Little, Brown & Company for making it available. While I received this book at no cost to myself, I am under no obligation to provide a positive review. That said, I love macaroni and cheese. The cover of this made me hungry, and I’d just eaten. 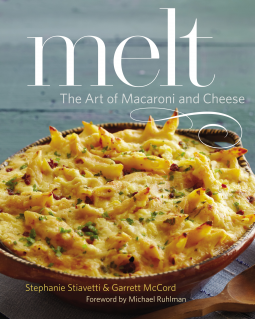 How could I not like a book about macaroni and cheese when I already have an inclination toward loving such a book? Then again, maybe with high expectations, a book might not be able to meet them. I must confess I wasn’t sure what to expect with this book. While I’ve cooked some variations of macaroni and cheese, both stove top and as casseroles, I really couldn’t fathom what else might be out there. I honestly expected a basic macaroni and cheese dish, followed by slight variations: different cheeses, different meats, maybe some vegetables, perhaps some panko or other breadcrumbs. Something like that, and that’s all. One thing I really like about the recipes is they are described in such a way as to identify why the various ingredients work together, and not just the pasta and cheese. Additionally, they will offer alternatives for the ingredients, especially if they include a hard-to-find cheese. The directions for the recipes are also very detailed, again, giving a lot of detail as to why each step should be performed the way it’s described. Another valuable asset of this book is its appendices, where various types of cheeses and pastas are described in detail, noting which ingredients, sauces, cheeses, etc., blend well with them and why. Overall, I absolutely loved this book. It not only hit a home run with a universal comfort food, it has given me many ideas on how to adapt other recipes based on the ideas I learned here. I definitely am going to get a hardcopy of this book to add to my cookbook collection. I received a copy of this book from YMAA Publishing Center in exchange for an honest read and review. Although it was provided to me at no cost, I am under no obligation to provide a positive review. That said, YMAA is essentially just keeping a junkie addicted with what they’re giving me. Here I am, a martial artist, who respects the author for his real-world martial arts training advice, and they are offering me the third book in this series, having already provided me with the first two books? Yeah, please! 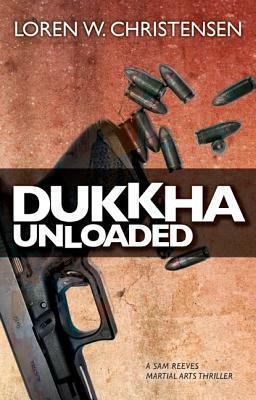 As noted in previous reviews of “Dukkha: The Suffering” and “Dukkha: Reverb”, I am a fan of the characters Christensen has created, especially Sam Reeves. Authors are always told “Write what you know.”, and Christensen takes this advice literally. 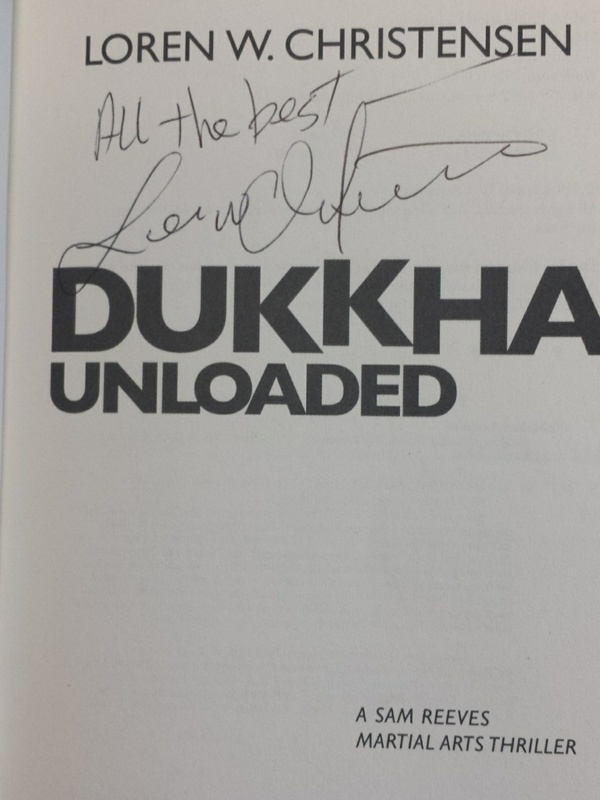 He is a martial arts instructor, Vietnam veteran (Tip of the cap to all vets), and a retired law enforcement officer. Not surprisingly, Reeves takes on all those roles, although his LEO career is still active. This allows Christensen to breathe life and depth into his protagonist in a way that many authors can only dream of. But it doesn’t stop there. Christensen has also created believable characters in Reeves’s and “sister” Mai as well as their father Samuel. Granted, a lot of what Samuel does can be perceived as superhuman, but hey, we all have to have goals, right? OK, enough about all that, let’s get to the book. As if you can’t already tell, I loved this book. It’s great to see the author still has some new ideas and circumstances to throw his protagonists into. He’s certainly not a one trick pony. While Sam was in Vietnam visiting family and making a dent in the human trafficking there, some hate crimes started cropping up around Portland. Just as Sam returns, the victims are Mark, Sam’s boss who also happens to be gay, and Mark’s partner. While Sam certainly would have wanted to stop the crimes, it suddenly became very personal. Things are complicated enough for Sam without one minor detail: while in Vietnam he realized he never wanted to carry or fire a gun again. So now he has to track down the people responsible for these violent hate crimes, and he only has his bare hands, and whatever improvised weapon he can find, to assist him. Of course, every well-rounded novel needs a little romance, and Christensen doesn’t disappoint. Naturally the biggest emotional tension is between Sam and Mai, the latter beginning the novel still in Vietnam. Will they continue to grow together, or will the distance make them drift? So yeah, I really enjoyed this novel. Hearing even more books are in the works makes me nearly, yeah, I’ll admit it, giddy. It’s so refreshing to read a novel with genuine action scenes that I can picture while still maintaining the realism only a season veteran of violence can bring to the page. If you haven’t read the first two books in the series, stop now, go get them, and read them. Then read this one. You won’t regret it. I received a copy of this ebook from the author in exchange for an honest review. Even though it was provided to me at no cost, I am under no obligation to give a positive review. In May 2013, I read and reviewed the first book in this series, “Blast Of The Dragon’s Fury”. While I certainly enjoyed the story and Lee’s writing, I was very critical of grammatical and simple word choice mistakes. My concern was the target audience, middle grade students. As that age group is just starting to really explore and choose books that meet their specific interest areas, it was imperative to me the book not have so many errors. We certainly wouldn’t want the students presuming something like “calvary” being a group of soldiers mounted on horseback, rather than the correct “cavalry”. I really appreciate the way Lee handled my critique. I have had authors take me to task for such criticism, but Lee met it head on, making sure I got a copy of the second book. She handled it all with great professionalism, and I commend her for that. That said, I had no such problems with this book, so kudos to Lee for that. I certainly experienced fewer speed bumps, as it were, making the book a quick, smooth read. 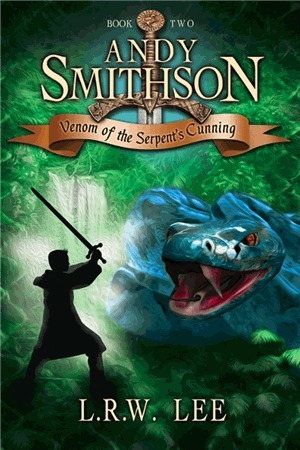 In this book, Andy Smithson, the titular character, returns to Oomaldee for an unknown reason. Waiting for him are many of the same cast of characters from the first book: King Hercalon, his sorcerer sidekick Mermin, Andy’s friend Alden, and all the other castle staff who’ve come to love Andy. Unfortunately, the vulture men are also back, including Razen, now a trusted adviser to the king. This position certainly causes Andy some pause during the story, not sure if he can trust Razen or not. As the story progresses, Andy learns the king’s deep dark secret as well as the true cause of the curse that haunts the kingdom. The theft of a magical stone, which has kept both the king and Mermin healthy and immortal, causes both of them to become very sick. And away goes Andy, Alden and a cast of supporting characters, to fight the evil Abbadon, who is aided by the spirit of the king’s sister, Imogenia. Much like the first book, I really enjoyed this for the lessons it is trying to teach the young readers. Such lessons are honesty, accepting fault when you make a mistake, and acceptance of things you cannot change, while conversely being very determined to change those you can. I like the way Lee fills in the story with other details, such as a game played in Oomaldee called Oscray. While it doesn’t have the magical elements of a game such as Quidditch, it’s still an egg-cellent game and is easy to visualize due to Lee’s narrative. Overall, I was very pleased with this book. I can’t wait for the next installment!